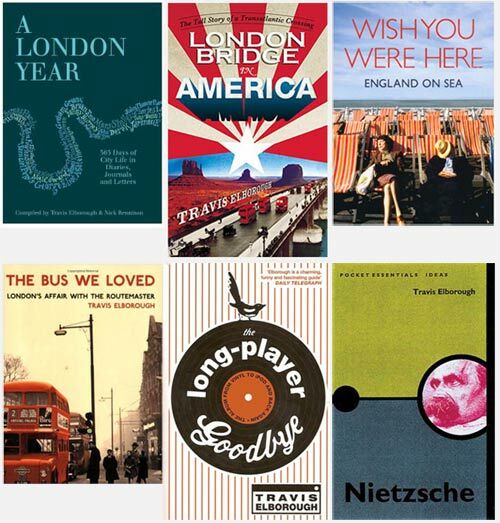 My books include critically acclaimed histories of the Routemaster bus, the LP record, the sale of London Bridge to America (as ‘the world’s largest antique’) and the English seaside resort. A Walk in the Park: The Life and Times of a People’s Institution was published by Jonathan Cape in June 2016 and described as ‘a fascinating, informative, revelatory book’ by William Boyd in The Guardian. The Atlas of Improbable Places, a collaboration with the cartographer Alan Horsfield and specially commissioned by the publisher Aurum, appeared in September 2016 and was saluted by Monocle magazine for ‘making the world feel bigger.’ A sequel of sorts, Atlas of the Unexpected, was published by the White Lion imprint in 2018. Following on from the anthologies Being a Writer, co-compiled with the novelist Helen Gordon, and Our History of the 20th Century: As Told in Diaries, Journals and Letters published in 2017 by Aurum and Michael O’Mara Books, respectively, my most recent publications are Letters to Change the World: From Pankhurst to Orwell issued by Ebury Press in September 2018 and Bus Fare: Collected Writing on London’s Most Loved Means of Transport, co-edited with Joe Kerr, issued by AA Publishing in October 2018.